It’s quite a time to become an American ambassador in Europe. When Matthew Barzun took up his post as the American Ambassador to the UK, he could hardly have known how quickly he would be thrown in the arena. Six days into his job, as the British parliament rejected a military intervention in Syria, The Sun newspaper issued a front-page death notice for the so-called Special Relationship between the UK and U.S.. Speculating on the health of the Special Relationship is nothing new, but the rejection of British involvement in a military intervention – and the prospect that America might have to go it alone – seemed to be a low point. America was taken off the hook, as it were, when it endorsed a Russian proposal for Syria to disarm itself of chemical weapons, thus temporarily removing the need for the use of force. The U.S. – and the international community – “got to a good place” on the issue of Syria’s chemical weapons, the ambassador opined. Ambassador Barzun used the chemical weapons deal, as well as U.S. humanitarian work and efforts to find a political solution in Syria, as evidence to reject the idea that America is pulling back from the international stage. Syria may have gotten Ambassador Barzun off to a running start, but it has largely fallen to the wayside as outrage over alleged American spying in Europe has risen from a simmer to a boil. American ambassadors from France to Spain have been “summoned” to meet with their host governments – in the lingua franca of diplomacy, the way to give another country a good scolding. Barzun, for his part, has not been summoned. 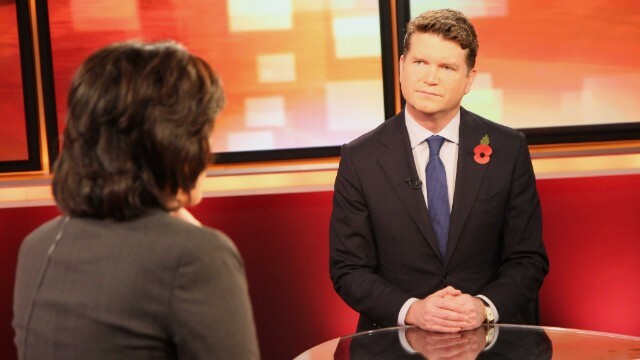 Barzun praised the “open public debate” that he says has been taken place – a debate sparked by the disclosures themselves. Near the top of Barzun’s agenda as ambassador is the negotiation of a free trade agreement between the U.S. and the European Union. He rejected the idea that those negotiations would be derailed by the spying row. Whether America can maintain its economic supremacy, however, was brought into question earlier this month when Congress forced a shutdown of the U.S. government and raised fears that America could defaulting on its debt. By example, Barzun pointed to Obamacare, the U.S. president’s signature legislative achievement currently under the microscope for the disastrous rollout of its website. “It was thought out in the legislature, and then it went to the top of our judicial system to the Supreme Court, and then we had a presidential election where this was a top issue,” the ambassador said. All three branches of U.S. government, in other words, played their part.